The regular season of the EuroLeague ended with lots of surprises and upsets and, of course, impressive spectacle, but also with the defense of most teams playing a decisive role in how the competition turned out. Now, the eight teams that have qualified for the playoffs are getting ready for the most difficult part of the competition, the one that will decide who will go all the way to the end of the road, which is the Final Four in Vitoria. All the teams that are in the postseason of the competition, aside from their virtues in offense, also have a very good defensive function, with players that make the difference in the backcourt and are considered among the best of their kind. 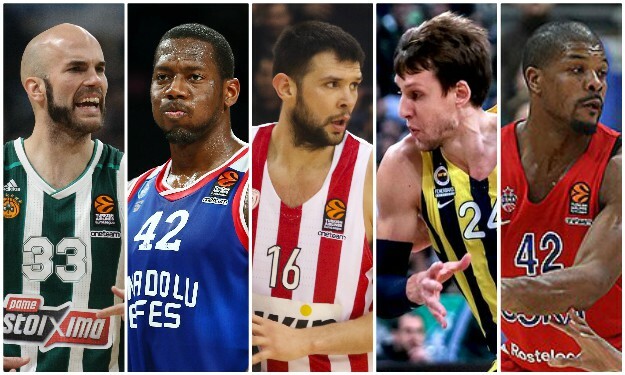 Players like Calathes, Vesely, Hines, Dunston and Papanikolaou have always been distinguished in their career in the EuroLeague for their defensive skills and they are important weapons for their clubs in the way each defense functions and in the effort to contain their quality opponents. Eurohoops presents the best defenders of this regular season in the EuroLeague and gives you the chance to vote for the best in the following poll!